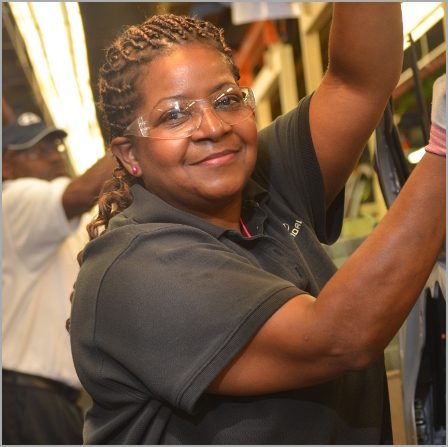 HMMA Team Member: Charlena Mack | Hyundai Motor Manufacturing Alabama,LLC. Charlena Mack has been a Team Member on the door sub line since June 2005. Charlena used to work in retail, so she says working at HMMA came with quite a learning curve. Over the last 10 years, Charlena said her team on the door line, and the Hyundai team as a whole, has been much more to her than just a group of coworkers. Charlena says HMMA is blessed to have Team Members who are both hard workers and great people, and that’s what truly makes this a wonderful place to work.